Can Drug Or Alcohol Addiction Lead To Mental Illness? Psychologists and treatment staff often hear this question from concerned friends or families: how did my loved one get to the point of needing rehab, and what can I do to help? 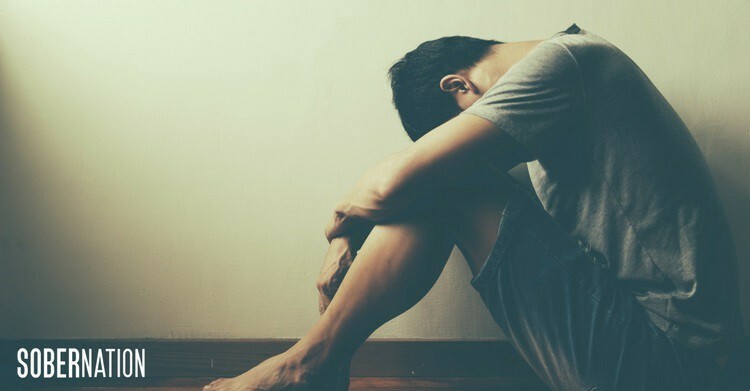 It’s important to understand that drug and/or alcohol abuse often co-occur with diagnosable psychiatric conditions like depression, anxiety, or PTSD. So does mental illness cause substance abuse, or does substance abuse cause mental illness? The answer to both questions is essentially “yes” — that is, effective treatment for either condition is difficult without examining if the other needs to be addressed. Therefore, if you’re doing research about effective substance abuse treatment programs, it’s essential to understand the concept of dual diagnosis and co-occurring disorders. Can Substance Abuse Alone Lead to Severe Mental Illness? In some cases, substance abuse can “unmask” the first episode of serious conditions like schizophrenia; but this almost always happens to individuals who are already predisposed to the condition. More often, some substances can cause short-term psychosis — a detachment from reality that can lead to bizarre, violent, or reckless behavior. Because psychosis is also associated with other psychiatric conditions, this distinction can be confusing for loved ones of someone who needs treatment. A facility with a treatment team experienced in co-occurring disorders will take a full medical history to make sure the client entering the program gets the treatment most appropriate to their unique needs. Finally, although substance abuse is rarely the sole cause of mental illness, it is also important to understand that substance abuse can make any pre-existing problems much worse! Alcohol or opioid use can increase depression and anxiety; “uppers” like meth and cocaine can trigger manic episodes, paranoia, or simply interfere with sleep. As innocuous as insomnia sounds compared to paranoia, lack of sleep can actually be a serious destabilizing factor for people already experiencing depression, anxiety, or other mental health problems. Read on to learn more about the important relationship between substance abuse and mental illness, and how to find treatment centers that identify and treat both problems. Individuals struggling with undiagnosed symptoms of mental illness often “self-medicate” with drugs or alcohol in an attempt to feel better. For example, someone with social anxiety may find they need a few glasses of wine before a business-networking event. The anxiety is masked temporarily, but because of how alcohol affects the brain, this person will likely feel more anxious the next day, and will eventually need more alcohol to stay calm. This is how the toxic cycle of substance abuse and worsening of psychiatric symptoms begins. In this case, unless the social anxiety is diagnosed and treated, what started as a “pick me up” can turn into full-blown alcohol dependency. On the flip side, if someone seeking help primarily for an addiction to drugs or alcohol doesn’t get evaluated and treated for any underlying psychological factors, chances of long-term recovery are much lower. Interventions that have been more traditionally related to mental illness — like cognitive behavioral therapy — can also be of tremendous use for recovering addicts by teaching methods of coping with emotions or thought patterns that can lead to cravings and relapse. In some cases, medications can also help recovery by stabilizing underlying conditions like depression. This is the core of the “dual diagnosis” concept. So, if drug and alcohol abuse can make mental illness worse, and mental illness can make substance abuse worse, why isn’t awareness more widespread? For one thing, while addiction narratives have become more “mainstream”, widespread stigma about discussing mental illness continues. Dual diagnosis is one way to help the conversation evolve. This is because a treatment program that emphasizes diagnosing and treating co-occurring disorders is approaching addiction as a medical and behavioral illness rather than as “weakness.” At the same time, understanding the significant relationship between drug and alcohol abuse and mental illness can take some of the stigma out of psychiatric problems. Besides being more productive for the person seeking treatment, understanding Dual Diagnosis can be helpful for friends and family as well. When mental health problems are discussed in the context of addiction, it can help loved ones empathize, reducing guilt and shame. At the same time, understanding addiction as a disease rather than a moral issue reduces the stigma that can still be a barrier to addicts who need help. How Do I Find Treatment Centers that Specialize in Dual Diagnosis? Now that you understand the important relationship between mental illness and addiction, find the best rehab centers by reading facilities’ websites or calling intake offices to ask if Dual Diagnosis is part of the treatment offered. If you (or a loved one you’re concerned about) have hit “rock bottom” or are ready for treatment, you may be feeling overwhelmed by the number of choices out there. Going off to a treatment program is a big step, so get the most for your time, money, and effort by asking what kind of therapies are used and how much importance is placed on co-occurring diagnoses. Fortunately, after decades of supporting clinical research, the concept of Dual Diagnosis is becoming more accepted by the medical establishment, insurance companies, and rehabilitation programs themselves. Cutting-edge rehabilitation programs like those at Northeast Addictions Treatment Centerare working hard to boost successful outcomes by combining an emphasis in Dual Diagnosis with other innovative therapies that take physical health, peer support, and even cultural differences into consideration. If you’re looking for the best treatment for yourself or a loved one, learn more about Northeast Addictions Treatment Center program today.